We would like to thank everyone who participated in this year contest. 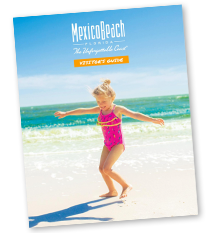 We hope you continue to capture Mexico Beach through your “eyes” and enter next year! The 2017 Mexico Beach Photography Contest received over 250 photographs for this year’s contest. The winning photographs will be on display in the Mexico Beach Welcome Center and all other photographs will be available to view till September 2018. All photographers can pick up their images after October 1, 2018. No photographs will be mailed back. Pictures will be available until December 1, 2018 and those who fail to pick up their photographs will be released over to the Mexico Beach Welcome Center at their disposal. Again, thank you all for participating and entering.